Enums stands for enumerations. It is basically a set of integral numbers. Enums are value types. Enums make your program more readable as well as more maintainable. 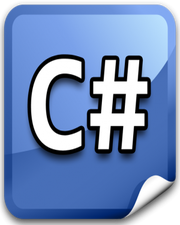 I know since you are new to C#, the above lines do not make sense to you at all. Lets understand enums with a very basic example. Whenever a developer creates a program, he distributes it with certain restrictions. There are 3 modes in that program (Trial, Active, & Expired). Trial users can use the program for a fixed number of days. Active users can use the program without any restrictions. Expired users can no longer user the program since their subscription is expired. So, based on these integer values, we will decide in which mode the program should run. I know this sounds easy here, but there is a catch. We can add more modes to it like Professional Edition, Developer Edition, Standard Edition etc. Do you think, you or your team members can remember integral values of numerous modes during development? Of course, not! Enums are strongly typed constants and the default underlying data type is integer. You cannot assign an integer value directly to an enum without type casting and vice versa. If you have 2 enums, then an enum of one type cannot to be assigned to enum of another type directly even though the underlying values of members are same. This is only possible with explicit type cast. Example is given below. //Mode Enum of Short Datatype.